I think it was about 2006 when I saw Michael Schenker’s car crash of a gig supporting his brother’s Scorpions at the Manchester Apollo. It was the first time I had seen him since Gary Barden’s triumphant return after the debacle with Graham Bonnet back in ‘83. I turned to my mate at the Apollo and said ‘I’m done’, as it was the only time in over 30 years of attending gigs that I had seen an audience boo and almost turn on an artiste. I vowed my path wouldn’t cross Schenker's ever again. Over the passing years I heard that he was well again and more importantly playing like the old days. That was back in 2012 and since then I haven’t missed a UK tour. Bad luck fell on the guys as halfway through recording, the guitars and recordings were stolen. Schenker recalls, “Fortunately it was just performances and not compositions, we caught up and performed the music better than before. It forced us to work extra hard and longer but it made it stronger”. Overall 'SOAM' is OK, but that’s all it is. 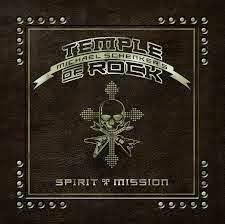 All it really made me do was dig out my re-masters of MSG from the debut to ‘Built To Destroy’. Michael Schenker’s Temple of Rock is essentially a Ronseal cover band, you know what you are going to get – UFO, Scorpions, and MSG with a couple of Temple songs thrown in for good measure. Whether or not it becomes a bonafide band in its own right remains to be seen. I prefer to see the Temple perform live rather than go down the album route, although it is admirable that they are giving it a decent shot, when he could so easily cash in and do a couple of European tours a year giving the fans what they want – next time, play more MSG stuff!